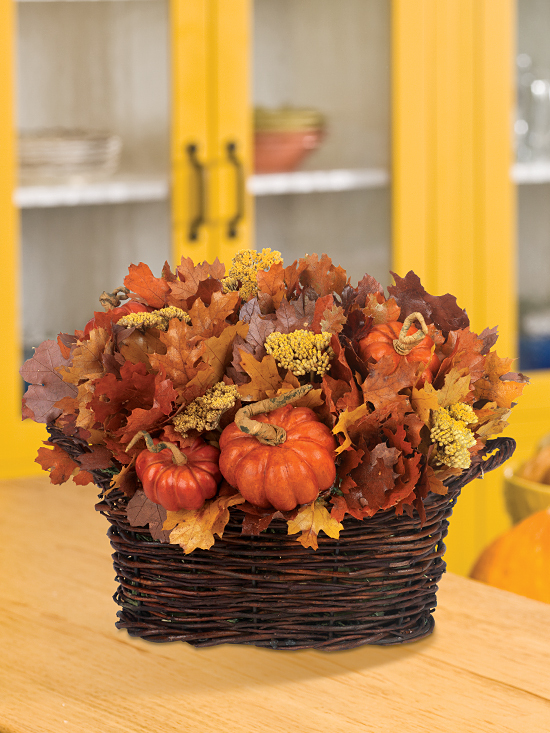 Bring all of autumn’s most alluring colors and sights indoors with our gorgeous pumpkin centerpiece. An ideal gift for any fall occasion or a wonderful addition to your own décor, it’s designed to be delightful no matter how or where it’s placed. 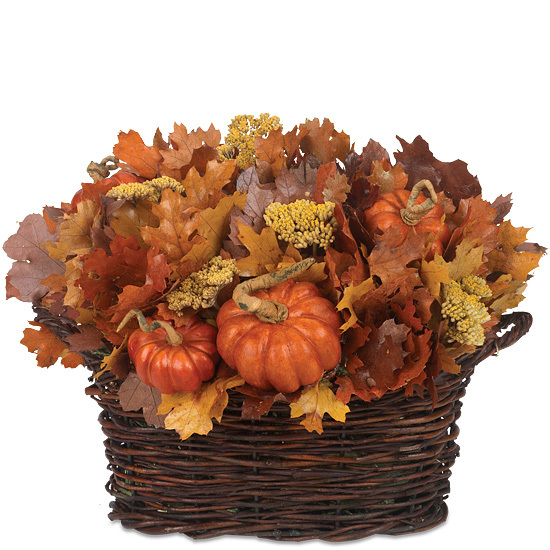 Overflowing from our brown woven basket is a generous gathering of maple leaves in yellow, orange, and burgundy, as well as yellow yarrow and adorable faux pumpkins. Placed on the dining room table, in an entryway, or even in the kitchen or living room, it’s the perfect decoration for the entire fall season.